Washington, Jan 18: In recent time, India is emerging as one of the strong power in the Indo-Pacific region. 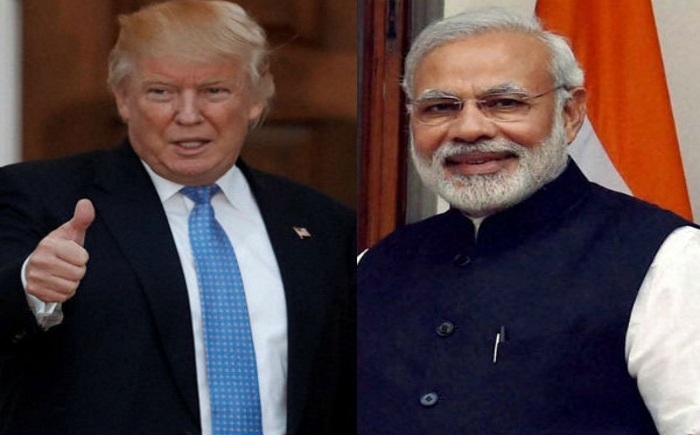 Acknowledging this, Trump’s administration has discussed a potential missile defense cooperation with India as a part of its efforts to deepen the bilateral strategic partnership. According to Pentagon’s statement, “Asserting New Delhi” is a key element in America’s Indo-Pacific strategy. The Pentagon’s announcement in the 81-page ‘Missile Defense Review’ report released by President Donald Trump, acquire significance in view of India placing a 5 billion US Dollar order to purchase S-400 air Defense system from Russia, which was publicly disapproved by the US. Pentagon is a headquarters of the United States Department of Defense. The phrase “Pentagon” is often used as a metonym for the Department of Defense and its leadership. Report of Pentagon specified, there were now a number of states South Asia that is developing an advanced and diverse of ballistic and cruise missile capacities. The threats posed by offensive missile capacities are no longer to a few regions around the world. Previously, the US was reluctant to offer its missile defense system to India. The Obama administration was not very forthcoming in sharing its advanced missile defense system with India, following which New Delhi went ahead to procure it from Russia. This cooperation includes bilateral missile defense training exercises with India. New areas of focus include the joint examination of the challenges posed by advanced missile threats.